With all the flak Emilio Aguinaldo has been getting from contemporary Filipinos, it’s good to know the man had his redeeming qualities—namely, his willingness to resign as President in favor of someone more capable. In the book The Development of Philippine Politics authored by Maximo Kalaw, Miong supposedly tendered his resignation as head of the government sometime in December 1898—a mere month before the formal establishment of the first Philippine Republic. In the letter which he wrote in Tagalog, Aguinaldo cited “his acknowledged ignorance of matters of state” and the “favoritism, selfishness and bribery shown by other officials” as his two main reasons for stepping down. 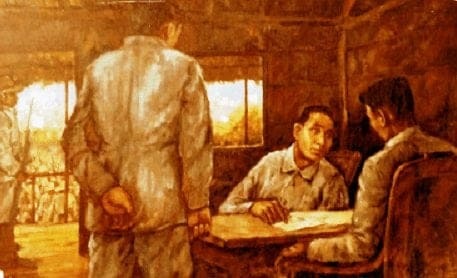 Artwork showing Mabini and Aguinaldo displayed at the Dambanang Pangkasaysayang Mabini in Tanauan, Batangas. Again, according to the book, Aguinaldo—in writing his resignation—also described his ideal successor as someone totally devoted to his country and not someone who was merely rich or intelligent. So who was the ideal leader Aguinaldo was thinking of? The book mentions that many thought Cayetano Arellano, the man who would become the first Supreme Court Chief Justice under the American period, was the one envisioned by Aguinaldo to be his successor. However, Miong admitted decades later it was Apolinario Mabini he was referring to as the ideal next President. Unfortunately, Aguinaldo’s resignation never came to fruition because when his letters were discovered, “its circulation was suspended and many of its copies burned,” leaving the Filipinos of today to speculate what might have happened had Mabini been our President. Kalaw, M. (1927). 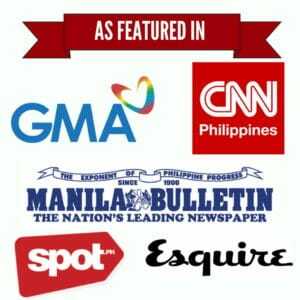 The Development of Philippine Politics (pp. 158-159). Manila: Oriental Commercial Company, Inc.